If you are trying to get rid of your laziness and change your life, it is very important for you start to value your time. Every day we are involved in hundreds of various activities, have a lot of duties, obligations, chores, entertainment activities and other things to do, so learning what we actually spend our time for could be very effective for us to estimate, how much of time is usually spent on unimportant and useless things. Knowing this will, undoubtedly, help us to maximize our effectiveness, avoid work overload, reduce stresses and achieve better personal and professional success! My friend Carla is a secretary assistant, she works in a huge marketing company in Northern California and spends her time mostly in the office in front of her PC, answering calls or requests, and helping the employees with their daily routine. Once she decided to change her life, the first thing she did was writing down all her regular activities and how much time was spent for every each of them. She has been keeping records of every little thing she was doing for 7 days, including even going to the rest-room, and in the end of the ends, she summarized and calculated the total time for everything done. The results were really shocking for Carla. She found out that she was spending 3,5 hours a week looking at herself in the mirror while doing make-up, fixing her hair or just looking at her face!! Another 3 hours were spent for idle drinking coffee, consuming doughnuts and chatting with her colleagues. 15 hours were spent for surfing Internet and chatting with her online friends (not too very useless activity though, but 15 hours is too much). More than 9 hours were spent for various relaxing activities in the office (reading magazines, checking out e-mails or playing PC games). Almost 7 hours were spent in some shopping-malls and markets while doing shopping for personal entertainment. Finally, watching TV proved to take about 10 hours of her time every week. Therefore, she realized that she actually had 48 more hours a week available for more effective and useful activities! Believe it or not, this little research really changed her attitude toward her personal time. I know that some very conservative companies ask their employees to keep records of all their activities and submit such reports later on for the consideration of the top managers. Well, I personally think that it is too much, but it is hard to deny that this simple and effective technique can help to understand that everyone needs to value our own time. It really works for many people! Try it, do a little study of the way you spend your time, and you will definitely find out something to think about. And remember that knowing how we spend our time is only a little step ahead: the most important thing is to start feeling sorry and unhappy for every minute wasted… Our time and our life is in our own hands. Really insightful analysis on just one person. Shows how we waste our time doing small “chores” that we think, when eventually it can lead to 48 hours being wasted. Makes you think about life and how by making small changes to our daily routines can make a big change in our lives. 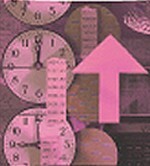 Time Management This is a very useful knowledge! It can improve our efficiency. Every day we are really wasting too much time on useless things, but only daily record of our own every little trick that is not enough to know that time management is already planning to establish in your the schedule, but are you going to achieve them under the premise of the schedule only effective! Thanks!